TARDY S.A.R.L, is the study and design of high precision tools - up to 5 tons - for the processing of plastics. The company was founded in 1979 by Mr. Jean-Paul TARDY. In 1999, it was bought by Mr. Didier GALMICHE who was part of the company as foreman and Mr. Alain FALABRINO former design office of the company Decoplast. 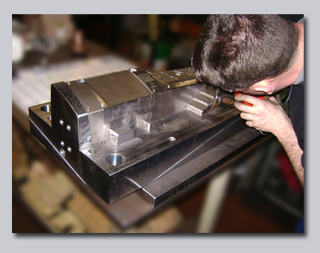 TARDY S.A.R.L was equipped to produce tooling for parts with complex shapes, of high accuracy in various industries. The mastery and the experience it has acquired allow it to provide its customers with quality services. Today the company operates in France, Switzerland, Benelux and North Africa.